100% PURE HEALTHY SKIN: This Shave Cream will provide you best experience of shaving with soften feel and without feeling of Nicks, Cuts and razor burns. 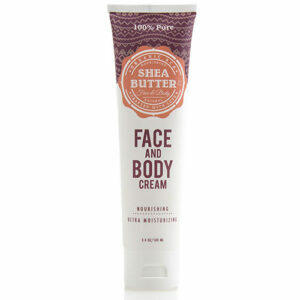 Make a smooth and Safe shave experience with our Shea Butter Shave Cream. Just apply a thin coat of moisturizer to your skin every morning after shaving. It’s that easy to keep your skin looking it’s best for years to come. 3-IN-1 Shaving Cream: Before and after shave. This is the only product you need to keep your face fresh & healthy.Other moisturizer can leave your skin dry. Our Organic Sca shaving cream formula comes with white tea fragrance, kernel oil which contain vitamin K and A, SHEA BUTTER, beeswax for superior hydration. 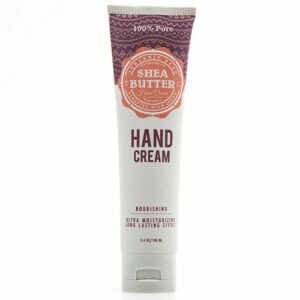 Proposed FOR MEN: This moisturizer is designed to meet men’s needs. Men naturally produce more oil so we made this lightweight, fast-absorbing, non-greasy formula acne safe. You never have to worry about breakouts. Our non-greasy, 100% natural formula is perfect for sensitive skin. We never use irritating chemicals or synthetic preservatives. All-natural, organic ingredients provide superior hydration while visibly improving your skin’s overall appearance. Nourishing botanical extracts and natural kernel oil protect the skin before, during and after shaving for an irritation-free experience. 100% PURE HEALTHY SKIN: This Shave Cream will provide you best experience of shaving with soften feel and without feeling of Nicks, Cuts and razor burns. Cool REFRESHING SCENT: Infused with a subtle white tea fragrance which will leave your face smelling and feeling awesome all day. Pure and Simple: Get the best diaper rash cream with everything your baby’s skin needs, without the hidden toxins, fragrances or dyes. Soothes and treats your baby’s nappy rash. Provides reliable protection for the nappy area. Protects from irritation & inflammation. This cream is carefully crafted using the utmost care and using well known and trusted ingredients for baby care such as Organic Shea butter, palm kernel oil, vitamin E, Zinc-oxide to yield a beautiful and effective balm for your baby. Non-allergenic saturating Soothe and ensure harsh, dry, dried out and bothered skin while leaving the territory feeling smooth and delicate it is a characteristic mending balm. Beeswax is added to give structure and assurance of calm, Vitamin E is entrenched to have the advantage to the skin and expands the time span of usability. A quick acting answer for recuperating, relieving, and for nappy rash. Germicide recuperating cream for nappy rash and bed wounds. 100% normal fixings, without paraben, brutal synthetic substances free, scent free, cruelty-free. Safe and Effective: We work closely with our chemists and production teams to ensure our ingredients, components and formulas meet the highest standards. You’ll notice our hypoallergenic formula is thicker and glides on easier than other balms thanks to our carefully selected and clinically proven ingredients including.